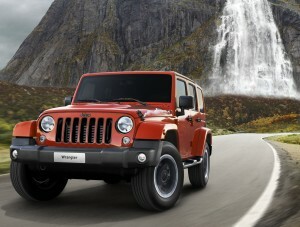 In an interesting development in the materials wars, FCA CEO Sergio Marchionne said Tuesday the company won’t make the next-generation Jeep Wrangler body out of aluminum after all, according to Automotive News. But “this is untrue of the Wagoneer,” Marchionne continued, according to the Wall Street Journal. FCA would have to have extensively revamped the Toledo, Ohio, Wrangler factory to make the car out of aluminum, according to Automotive News. The idea is now to put that “large portion” of aluminum parts on a presumably high-strength steel body, the newspaper reported, speculating that this could involve aluminum doors, a tailgate and the inevitable hood. Another interesting tidbit: The next-generation Grand Cherokee would be delayed from the original 2017 launch date so it could share a platform with a luxury Grand Wagoneer, Automotive News reported. Jeep sold the most units of any FCA brand in 2014, thanks to an explosion of Cherokees following a failed 2013 launch of the 2014 model year and a 13 percent boom in Wranglers to more than 175,000. Grand Cherokees grew by 5 percent to nearly 184,000. So what FCA does with the Wrangler and Grand Cherokee will matter a great deal to your shop by the end of the decade, not to mention whatever its plans are for the next-generation Cherokee.